The next entry in the testosterone-fueled Expendables franchise may feature the likes of Jackie Chan, Wesley Snipes and Milla Jovovich. Since its inception, the Expendables films have been defined by their large collection of action stars, the majority of whom found stardom in the late 1980s and early 1990s. Despite being decades past their arguable prime, the cast assembled for The Expendables and its sequel have done excellent work in proving that they're still capable of anchoring a solid action flick, and for the inevitable Expendables 3 the producers of the franchise want to add even more recognizable stars to the cast. According to Deadline Hollywood, the key names currently in talks to appears in The Expendables 3 include Wesley Snipes, Jackie Chan and Milla Jovovich. 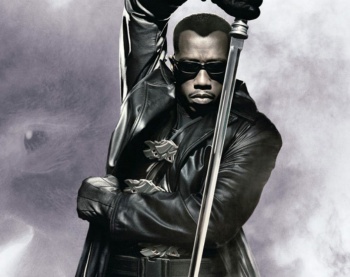 Snipes made a name for himself in the early 90s in movies like New Jack City and Demolition Man, though his greatest action roles came in the Blade trilogy, a series of films that arguably kicked off Hollywood's ongoing obsession with comic book superheroes. Jackie Chan needs no introduction, but for those of you who've been living in a remote cave since the 1970s, Mr. Chan is a legendary actor known best for his amazing stunt work. The man has broken more bones than most people have in their entire bodies and even at age 59, his legitimate martial arts skills far outstrip the choreographed fighting talents of almost any other actor anywhere on the planet. Milla Jovovich, in turn, presents an odd addition to the cast purely due to the fact that she is a woman. The Expendables has always been seen as a macho boy's club, but Jovovich has a long list of solid action roles, most notably that of the heroine in the ongoing Resident Evil film adaptations. Plus, unlike most Expendables cast members, she's quite nice to look at. As The Expendables 3 is still lining up its cast, the film is a long ways from hitting theaters. The current plan is to debut the film during the summer of 2014, though at this stage any number of issues could crop up to delay the flick. Expect more info to emerge as contracts are finalized and a new crew of cinematic badasses are assembled to take on whatever ludicrous threat needs overly-muscled justice to punch its stupid face in.